A listing of South Carolina's heritage preserves. Aiken Gopher Tortoise: 1,642 acres, Wagner. This preserve is home to the northernmost population of the rare and state-listed endangered gopher tortoise, a keystone reptile that provides shelter for many other species of animals in its long underground burrows. The preserve also boasts a longleaf pine/wiregrass community, one of the most endangered in the Southeast. Longleaf ecosystems provide habitat for rare flora and fauna - like the gopher tortoise. Bear Branch: 173 acres, Aiken. B.F. Landrum began making pottery at Bear Branch in 1848 and passed the tradition on to his son, who manufactured pottery there into the 1920s. The preserve protects an alkaline-glazed stoneware site and houses an archaeological catalog of the only true folk pottery in the Old Edgefield District. Ditch Pond: 296 acres, Williston. Located in Aiken and Barnwell counties, Ditch Pond contains a Carolina bay first documented in 1973. Most Carolina bays in South Carolina have been altered from their natural state; however, the twenty-five-acre bay at Ditch Pond has remained intact. Eight rare plant species of concern are located on the property, among them blue maidencane, Robbin's spikerush and creeping St. John's wort. Gopher Branch: 11 acres, Aiken. On this archaeological preserve, Rev. John Landrum established his home and kiln for creating alkaline-glazed stoneware pottery. Landrum is believed to be the founder of the alkaline-glazed stoneware tradition in the Old Edgefield District and was an innovator in the industry. "Dave," a slave potter of some renown, worked for Landrum and his son-in-law Lewis Miles. Pottery produced by Dave, some of which was inscribed with short couplets or other messages, is extremely valued by collectors of Edgefield pottery. Henderson: 426 acres, Aiken. Henderson protects a longleaf-pine/scrub oak sandhills ecosystem. The preserve's overstory is mainly mature longleaf pine, with turkey oak dominating the midstory and wiregrass, rosemary, trailing arbutus, blueberry and other species in the understory. The bog spicebush shrub is the preserve's rarest element. Janet Harrison High Pond: 30 acres, Monetta. Janet Harrison High Pond was established to protect a Carolina bay, as well as the high-pond vegetative community occurring within the bay and several rare plant species, including: harperella, pink tickseed, Florida false loosestrife, dwarf burhead, slender arrowhead and Robbins' spikerush. The term high pond is a colloquial name used to denote Carolina bays found in the northwestern coastal plain of the state. Savannah River Bluffs: 84 acres, North Augusta. With 1,076 feet of river frontage on one of the few remaining river shoals of the Savannah River, Savannah River Bluffs harbors the rare rocky-shoals spider lily and rock formations that may be remnants of ancient Native-American fishing weirs. The property also preserves habitat for other very rare plants or special-status plants such as relict trillium, which is on the federal endangered-species list, and bottlebrush buckeye. Cathedral Bay: 58 acres, Olar. Also known as Chitty Bay, this preserve is an excellent example of the Carolina bay phenomenon and a striking pond cypress plant community. Pond cypress is the dominant and generally the only tree species occurring in this type of bay. The natural fluctuation of the water level in the bay provides habitats required by a variety of amphibians, which use the pond as a breeding site. Long Branch Bay: 51 acres, Williston. Long Branch contains one of the state's most significant depression-meadow Carolina bays, about 40 acres in size. Four plant species of concern, awned meadow beauty, Tracy's beakrush, slender arrowhead and perennial goobergrass, grow in the preserve's depression meadow. Periodic fires, frequent inundation and a hard-clay soil layer combine to maintain it by discouraging shrub and tree species. Altamaha Towne: 100 acres, Beaufort. Named for a Yemassee Indian chief, this preserve protects the main town of the Yemassees. Culturally, its archaeological treasures assist interpretation of the effects of European contact on Native Americans during the late 17th and early 18th centuries. The site was listed on the National Register of Historic Places in 1994. Bay Point Shoal Seabird Sanctuary: 1 acre, St. Helena Island. A sand spit formed by deposits from associated river systems, Bay Point Shoal shifts in position and structure, due to erosion and deposition of sand. Presently, it is underwater at high tide and therefore does not support waterbird nesting as it once did. It remains important as a rest and foraging area for birds. Daws Island: 1,881 acres, Beaufort. Port Royal Sound's Daws Island can be reached only by boat. A number of prehistoric archaeological sites known as shell rings - mounds, rings and crescent-shaped deposits of oyster shells and garbage left behind by Native Americans - yield important information about the ancient coastal diet and environment. Fort Frederick: 3 acres, Beaufort. Situated along the Beaufort River, Fort Frederick was built by the British about 1730 to defend against a possible attack from the Spanish at St. Augustine. The remaining foundation shows an outline of this small fortification, thought to be the oldest tabby structure in the state. A wall facing the river was lined with cannons, and the interior held a barracks and magazine. Greens Shell Enclosure: 3 acres, Hilton Head Island. This earthen and oyster-shell embankment marks the fortified wall of a Native American village of the Mississippian Period (Irene Phase C. A.D. 1300). Villagers created popular items from shells that were traded far into the interior of the eastern United States. Joiner Bank Seabird Sanctuary: 1 acre, Hilton Head Island. Due to erosion and deposition of sand, this sand spit shifts in position and structure. Since it is currently underwater at high tide, it does not support seabirdbird nesting as it did in past years, although it remains important as a rest and foraging area for birds. Old Island: 400 acres, St. Helena Island. Near Hunting Island State Park, this relatively undisturbed coastal island consists of relict dune ridges interspersed with freshwater and saltwater wetlands. Possessing a mix of habitats that makes the island a very diverse system, Old Island is accessible only by boat, and even then, visitors must wade across salt marsh. South Bluff: 24 acres, Ladys Island. South Bluff's Late Archaic shell rings constitute one of the best-preserved of fifteen such site complexes in the state. Shellfish remains and other refuse, which make up the shell rings, enable archaeologists to reconstruct prehistoric man's environment and activities at South Bluff. This upland site also contains a well-developed maritime forest community. Stoney Creek Battery: 1 acre, Yemassee. The fortifications at Stoney Creek Battery made up a portion of the Confederate southern-coastal defenses constructed under the direction of Gen. Robert E. Lee in late 1861 and early 1862. It is believed that these fortifications were not continuously manned; instead, a picket of one or more men would be posted periodically at Stoney Creek to warn of a Union advance into the area. Victoria Bluff: 1,113 acres, Bluffton. Only minutes from Hilton Head, Victoria Bluff provides an escape from the crowds along walking trails connecting a slash-pine/saw-palmetto flatwoods community (rare in South Carolina) and a mainland maritime forest. Dotted with thirty-five wet depressions ranging in size from tiny to sixty acres, the property furnishes habitat for the rare shrub pondspice and excellent birdwatching opportunities. Regular controlled burns maintain the desired habitat. Childsbury Towne: 90 acres, Moncks Corner. Childsbury, started in 1707, and the adjacent Strawberry Landing, comprise an important site for interpreting early contact between Native Americans, African Americans and European colonists. Significant features include a ferry landing, tavern, racetrack, free school, general store, homes and shipwrecks. A tanner, shoemaker, doctor, carpenters and butchers plied their trades on the site. Congaree Bluffs: 201 acres, St. Matthews. This preserve contains steep, undisturbed bluffs bordering the Congaree River and harbors significant stands of American beech, oak, hickory and bottomland hardwood forest. No comparable sites exist in the coastal plain of South Carolina. Bird Key-Stono Seabird Sanctuary: 35 acres, Charleston. A small island in the mouth of the Stono River, up until the mid-1990s, Bird Key-Stono hosted one of the largest brown-pelican rookeries on the East Coast. 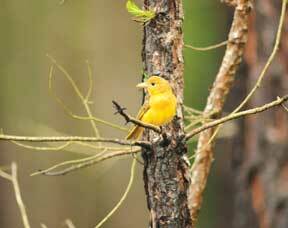 Besides providing nesting habitat, the sanctuary lends winter loafing and feeding areas to numerous bird species. Botany Bay Plantation: 4,687 acres, Edisto Island. The plantation's undeveloped coastal habitats offer nesting sites to the federally threatened loggerhead sea turtle and state-threatened least tern, and support a broad diversity of other wildlife species. The site's significant cultural resources include the prehistoric Fig Island shell rings and outbuildings from Bleak Hall Plantation, both listed on the National Register of Historic Places. Buzzard Island: 1 acre, Mt. Pleasant. Buzzard Island contains a Late Archaic shell ring that represents our earliest look at the lifestyle and environment of coastal dwellers in South Carolina. Capers Island: 1,203 acres, Awendaw. 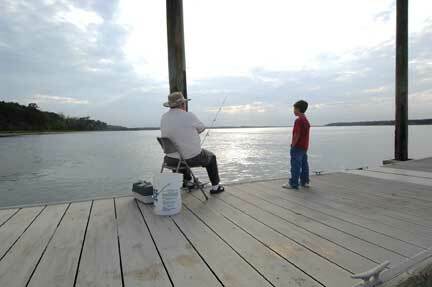 Capers Island is a classic undeveloped barrier island with abundant and variety of wildlife habitats and rare species. Visitors may observe alligators, eagles, nesting ospreys and numerous wading birds in the brackish water impoundments. Located about 15 miles north of Charleston, the island can be accessed only by boat, from the inlets at the north and south ends or at the dock on the south end. Crab Bank Seabird Sanctuary: 22 acres, Mt. Pleasant. Shem Creek is the home of Crab Bank, established to protect significant nesting habitat of sea and shorebirds. Its size varies but has remained geographically stable for more than one hundred years. Nesting on this sandy shoal was first documented in 1979. 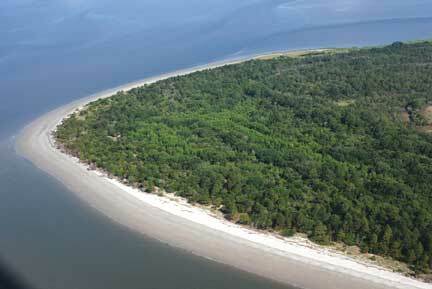 Deveaux Bank Seabird Sanctuary: 215 acres, Edisto Island. Since it was first documented as a seabird rookery in the 1930s, this shoal has disappeared and reappeared several times because of storms and erosion. Dungannon Plantation: 643 acres, Hollywood. A freshwater reserve was built on Dungannon Plantation in the 1800s to supply rice fields downstream. The reserve now provides nesting habitat for the federally endangered wood stork, as well as ospreys, anhingas, great egrets and great blue herons. Fort Lamar: 14 acres, Charleston. Documented as the second-most important Civil War site in the state, this fort was the locale of a fierce battle in which a Confederate force of 1,250 defeated 3,500 Union troops on June 16, 1862. Every year at this time, re-enactors stage the battle to honor the fallen of both sides. Lighthouse Inlet: 80 acres, Folly Beach. Long known as a romantic spot and prime photo-taking opportunity among Charleston natives, this preserve, located at the northeastern tip of Folly Island, provides spectacular views of historic Morris Island Lighthouse. The preserve is a part of the Charleston County parks system, and a half-mile long trail takes visitors from the park entrance on East Ashley Avenue to the beach. Fishdam Ford: 138 acres, Carlisle. An important part of our state's Revolutionary War history, American forces defeated the British at Fishdam Ford during the South Carolina campaign of 1780. Engineers with the SCDOT discovered the battlefield site while working on a bridge project in 2004, and the planned bridge was relocated downstream and the site preserved for possible future excavation. Bennett's Bay: 680 acres, Manning. Most of this rather large Carolina bay is included in the preserve, and it is one of the westernmost peat-filled bays in South Carolina. Peat forms when plant material deposited in wetlands does not completely decompose. 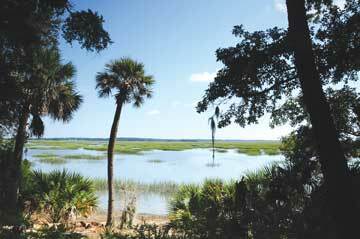 Bennett's Bay also has an associated sand rim dominated by longleaf pine and scrub oak. Woods Bay: 470 acres, Olanta. The Heritage Trust program acquired several highly significant properties bordering Woods Bay State Park in an effort to protect all of the spectacular Woods Bay, which features several different wetland habitats. Crosby Oxypolis: 32 acres, Walterboro. This small preserve is one of the best-known sites for the federally endangered plant species Canby's dropwort (Oxypolis canbyi). 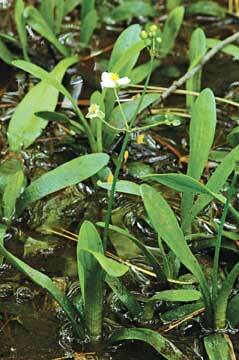 Also known as cowbane, this species occurs in the remaining portion of a Carolina bay. St. Helena Sound: 10,199 acres, Green Pond. Several islands (Otter, Ashe, Beet, Big/Warren complex and South Williman) constitute this preserve, which lies at the southern tip of the ACE Basin project area. These isolated, undisturbed islands serve as core research centers for the National Estuarine Research Reserve System and allow comparisons with developed areas along our coastline. Otter Island is one of the state's most active nesting areas for loggerhead sea turtles and also provides nesting and feeding habitat for the endangered piping plover, peregrine falcon and wood stork, and the southern bald eagle. Great Pee Dee River: 2,725 acres, Mechanicsville. With more than seven miles of river frontage and habitat for four state-threatened species, this preserve features a mature piedmont floodplain forest and several archaeological sites. Wildflowers like asters, lilies and orchids provide color much of the year, and wildlife such as river otters, beavers, gray foxes, wild turkeys, hawks and many wading birds call this area home. 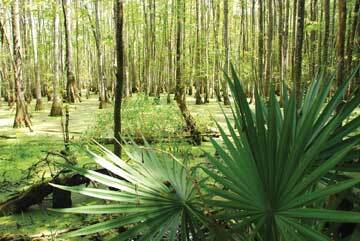 Visitors won't want to leave without seeing the beautiful cypress swamp and river oxbows. Segars-McKinnon: 795 acres, Hartsville. Occupying the floodplain and upland on the north side of Black Creek, Segars-McKinnon provides habitats for six rare plant species and four rare plant communities. A footbridge across Black Creek connects the preserve with Kalmia Gardens, a botanical complex in Hartsville. North Santee Bar Seabird Sanctuary: 1 acre, Georgetown. Located at the mouth of the North Santee River, this small shoal, now underwater at high tide, still offers resting and foraging habitat for black skimmers, piping plovers and other seabirds. Tom Yawkey Wildlife Center: 18,086 acres, Georgetown. This diverse complex of managed wetlands, tidal marshes, island beaches, maritime forests and pine flatwoods hosts a wide array of game and nongame species, as well as threatened and endangered species. Ashmore: 1,125 acres, Cleveland. A beautiful mature hardwood forest covers much of this preserve, which is part of the Mountain Bridge Wilderness Area. 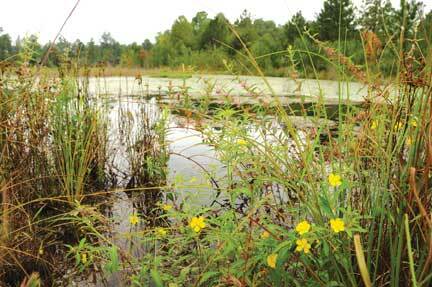 Ashmore also features a natural bog with favorable habitat for rare plants. A scenic hiking trail takes you to a small lake with a beaver pond. Bald Rock: 163 acres, Cleveland. Containing a complex of granite outcrops, seeps and waterslides surrounded by a mosaic of mixed pines and hardwoods, Bald Rock is a section of the Mountain Bridge Wilderness Area. The rock for which the preserve is named serves up scenic, panoramic views of Table Rock Mountain and the surrounding foothills. Two headwater streams help maintain several groups of rare plant species. Belvue Springs: 28 acres, Travelers Rest. Two very rare plant species found at the entirely wooded Belvue Springs are the federally endangered bunched arrowhead and the federally threatened dwarf-flowered heartleaf. Both of these plants are found only in a relatively small segment of North Carolina and South Carolina and occur nowhere else in the world. Blackwell: 16 acres, Travelers Rest. Blackwell's seepages and streams provide habitat for the federally endangered bunched arrowhead. Approximately 75 percent of the preserve is wetlands, and more than ten acres can be accessed only by wading the Enoree River. Bunched Arrowhead: 176 acres, Travelers Rest. This property harbors the largest remaining population of the endangered bunched arrowhead, which occurs within a rare piedmont seepage forest. Other rare plants found here include climbing fern and dwarf-flowered heartleaf. Chestnut Ridge: 1,886 acres, Landrum. A prominent mountain within its boundaries gives this preserve its name. The mountain shelters the federally endangered perennial white irisette. 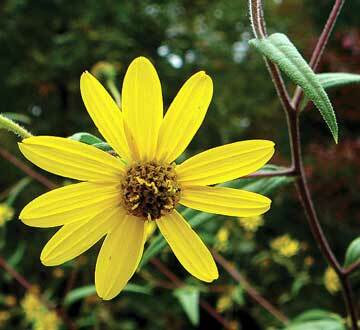 Other rare plant species, as well as rare habitats, may also be found on the property. Clear Creek: 19 acres, Taylors. On this property thrives the state's second-most important population of the rare bunched arrowhead. Dense populations of this plant species are found in three seepage areas on the preserve. Eva Russell Chandler: 253 acres, Cleveland. Beautiful views from a large granite outcropping draw visitors to this property. A Virginia pine-hardwood plant community shows evidence of natural succession through storm damage. Poinsett Bridge: 120 acres, Travelers Rest. The oldest surviving bridge in South Carolina anchors this preserve. Named for Charleston native and U.S. ambassador to Mexico Joel R. Poinsett, this 183-year-old arched stone structure was part of the State Road from Charleston through Columbia to North Carolina designed by Poinsett, then director of the South Carolina Board of Public Works. The bridge is listed on the National Register of Historic Places. Watson-Cooper: 1,708 acres, Cleveland. Part of the Mountain Bridge Wilderness and Recreation Area, Watson-Cooper encompasses the only montane bog habitat in the state, as well as the only South Carolina population of the rare swamp pink. Cartwheel Bay: 568 acres, Nichols. Cartwheel Bay is one of only a few Carolina bay-longleaf pine savanna complexes in South Carolina. 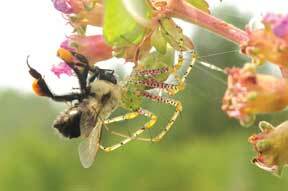 Its montage of habitats allows several rare plant species like native orchids and the Venus flytrap to thrive. To maintain the property's fire-adapted communities, preserve managers try to mimic lightning-caused fires through prescribed burns. Lewis Ocean Bay: 9,648 acres, Horry. Minutes from Myrtle Beach, this preserve offers wonderful solitude and twenty-three Carolina bays - the largest number of undisturbed Carolina bays on one site in the state. These bays provide habitat for Venus flytraps, yellow pitcher plants, native orchids, black bears, bald eagles and red-cockaded woodpeckers. Visitors will find the greatest plant diversity along bay edges. Waccamaw River: 5,387 acres, Longs. This property borders much of the Waccamaw River from the North Carolina state line to Red Bluff. 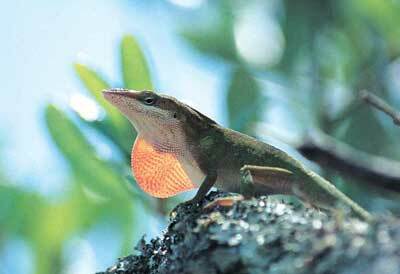 The mature bottomland hardwood forests and white-sand beaches supply habitat for rare species. Floating the Waccamaw River - unique in that it is the only river originating from a Carolina bay - is the best way to view the preserve. Tillman Sand Ridge: 1,422 acres, Tillman. Through regular controlled burns, managers are helping to expand this preserve's longleaf pine/scrub oak plant community, which harbors our largest population of the state-endangered gopher tortoise. Savage Bay: 110 acres, Cassatt. Two Carolina bays are located here, both featuring pond cypress as a dominant canopy species. It's a lovely backdrop for viewing wading birds, ducks and the rare shrub pondspice. Forty Acre Rock: 1,791 acres, Kershaw. This preserve includes a diverse assemblage of rare habitats and endangered plant species able to handle the extremes in moisture and temperature typical of flat-rock communities. The 4.5-mile hiking trail guides visitors over the rock, along a piedmont stream and to a beaver-pond boardwalk. Longleaf Pine: 843 acres, Lynchburg. Composed primarily of longleaf pine savanna interspersed with pond cypress depressions, this property hosts two federally endangered species, the red-cockaded woodpecker and Canby's dropwort. The pine savanna is maintained by prescribed fire. Numerous wildflowers lend seasonal color much of the year. Lynchburg Savanna: 291 acres, Lynchburg. Another example of a wet longleaf pine savanna, which is one of the most biologically diverse and imperiled ecosystems in North America, Lynchburg Savanna is a haven for at least six different carnivorous plant species. Birdwatchers rate this preserve as a "hot spot" for a group of sparrow species rarely seen in one place: Bachman's, song, Lincoln's and field sparrows. Congaree Creek: 641 acres, Cayce. Bountiful wildlife, sunlit dappled forest paths and 12,000 years of history and pre-history are tucked away in a pristine setting at Congaree Creek Heritage Preserve, just a stone's throw from downtown Columbia. Archaeologists have found tools, pottery sherds, arrowheads and other evidence that people have lived in and around the preserve for nearly 12,000 years. Beginning in the early 1900s, clay was dug from pits for the Guignard Brickworks, with peak production in World War I. A 2.5-mile trail loop takes visitors through the property and past the ponds. Peachtree Rock: 155 acres, Lexington. With the largest sandstone outcrops in the state, the only waterfall in the coastal plain, a swamp tupelo/evergreen shrub bog and a longleaf pine ecosystem, Peachtree Rock attracts numerous visitors. Its unusual sandstone formations originated when oceans washed over the area, leaving marine fossils, beach-like sand and intertidal deposits. Shealy's Pond: 62 acres, Lexington. This old mill pond is surrounded by a white-cedar bog that supports several rare plant species. One of only three known locations of the globally rare Rayner's blueberry, the property also harbors interesting insectivorous plants, such as sundews and pitcher plants. Little Pee Dee: 10,444 acres, Nichols. Floodplain forests and oxbow lakes characterize the several tracts of this preserve, which protects thousands of acres of forestland and stunning blackwater river scenery. Otter families play along the river and in the oxbow lakes. The Dargan tract offers the best hiking opportunities, and fishing is especially good in the Dargan and Little Pee Dee tracts. Stevens Creek: 434 acres, Modoc. Stevens Creek is composed of a north-facing (and therefore moist) bluff that harbors fifteen rare plant species. The preserve is also home to the secretive Webster's salamander, a state-listed endangered species in South Carolina. A loop trail guides visitors through a mature hardwood forest typical of the Appalachian Mountains. 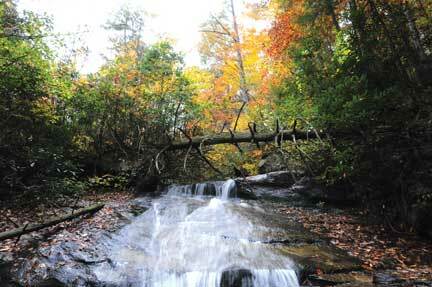 Brasstown Creek: 461 acres, Westminster. Located adjacent to Sumter National Forest along the Tugaloo River, this preserve is home to the rare pitch pine/heath plant community, which supports turkeybeard and several other rare plant species. Buzzard Roost: 501 acres, Walhalla. This property covers Buzzard Roost Mountain and part of Poor Mountain. Low-grade marble outcrops support uncommon fern species. A trail guides visitors to the top of Buzzard Roost and the rare Table Mountain pine community, which features a number of rare species. Stumphouse Mountain: 442 acres, Mountain Rest. Issaqueena Falls (over one hundred feet high), historic railroad tunnels and a forested mountainside constitute an attractive drawing card for history and nature lovers at this preserve. The abandoned railroad tunnels here were constructed by the Blue Ridge Railroad in the 1850s, and now bats, including eastern pipistrelles and sometimes rare Rafinesque's big-eared bats, hibernate in the famous Middle Tunnel. Eastatoe Creek: 374 acres, Sunset. Surrounded by the Jocassee Gorges, this steep mountain gorge features an old-growth hemlock forest, rainbow trout, dramatic rock cliffs and rare ferns maintained by the creek's moist spray in a series of narrow channels. Glassy Mountain: 65 acres, Pickens. One of only a few relatively undisturbed piedmont monadnocks in South Carolina, this unusual land form displays a spectacular view and several rare plant species. Laurel Fork: 1,361 acres, Sunset. This mountain property embraces hardwoods, pine ridges and rare plants and protects the headwaters of Laurel Fork Creek. Just off the Foothills Trail near the preserve's western boundary lies a small waterfall. Rainbow trout wait for the sportsman at Laurel Fork, which lies within the Jocassee Gorges. Wadakoe Mountain: 37 acres, Sunset. Wadakoe Mountain guards the headwaters of three small streams and is forested in hardwoods. Mostly steeply sloped, the preserve harbors rare plants like trillium and blue cohosh. The highly diverse, abundant snail population makes this preserve a favored stop for migratory birds. Nipper Creek: 90 acres, Columbia. This preserve permanently protects a portion of the oldest and most productive archaeological site in South Carolina. Listed in the National Register of Historic Places, the property holds stratified remains of prehistoric cultures. Pacolet River: 278 acres, Spartanburg. Two Native American soapstone quarries, thought to be the best preserved in the state, are found on this preserve. Bowls, discs and pipes were made here from soapstone during the Late Archaic Period, thousands of years ago. Peters Creek: 160 acres, Spartanburg. The second-largest known population of the dwarf-flowered heartleaf is found in this piedmont cove forest. Rolling topography, an old mill dam, two creeks and walking trails make this site a pleasant place to visit. Rock Hill Blackjacks: 291 acres, Rock Hill. This relatively small area is all that remains of the once-widespread prairie system in South Carolina. It is the only location where the federally endangered Schweinitz's sunflower enjoys permanent protection. Three rare plant communities and twenty-one rare plant species are found on this property. This list includes all of the heritage preserves dedicated under South Carolina's Heritage Trust program. Five additional DNR-managed properties that were acquired with funds provided by the Heritage Trust program (as well as other sources) include Belfast Plantation WMA in Newberry County; property located along the Catawba River in Lancaster, Chester and Fairfield counties; Hamilton Ridge WMA in Hampton County; and Marsh and Woodberry WMAs in Marion County. In addition, conservation easements held by the Heritage Trust program have helped protect Bird Mountain in Greenville County, Craig Pond in Barnwell County, Hitchcock Woods in Aiken County, and additional property adjacent to Peachtree Rock Heritage Preserve in Lexington County. For more information on heritage preserves, call (803) 734-3893. Longtime SCW contributor Rosanne McDowell is the resolution writer for the South Carolina Legislative Council and has written numerous feature stories for the magazine, including last May-June issue's "Wild Edibles" sit-down with Tom, Rudy and Jennifer Mancke and Dr. John Nelson. McDowell compiled and edited the index of South Carolina's dedicated Heritage Preserves.